I decided that it will be my new goal to try a new recipe at least once a week. So far, I’ve been doing a good job. I’m so dedicated that I even cooked when I was sick (good thing I was just cooking for myself). Since I didn’t feel like cooking anything too hard or fancy, I found the perfect recipe that included ingredients I already had at home. 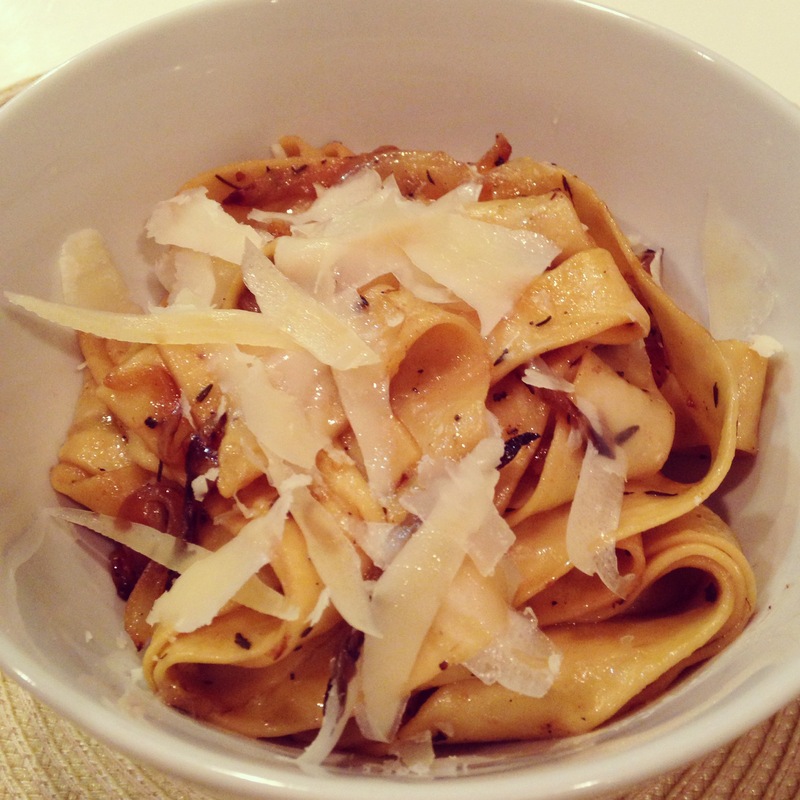 This recipe for Martha Stewart’s pappardelle with carmelized onions and parmesan is super easy and quick. While I thought it was good, I think I need more ingredients in my pasta than just onions.. maybe next time, I’ll throw in some mushrooms. Yum! Going to try this one.